Begin by taking a look at your lawn. 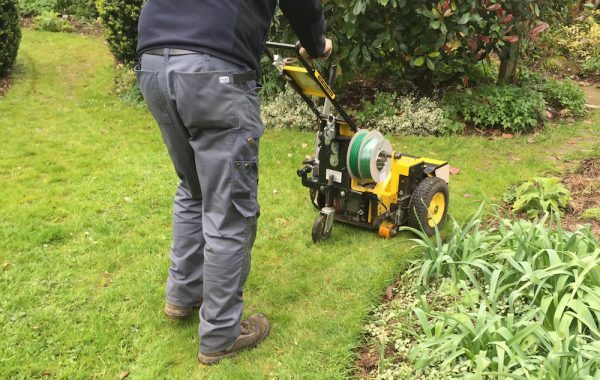 To minimise the risk of having your machine get stuck or damaged, the grass has to be cleared of all rocks, twigs, tools, toys and similar obstacles. Also, if the grass is longer than ten centimetres you are recommended to cut it with a regular lawn mower one last time. Place the charging station on flat ground in the middle of the cutting area with some free space around it. Make sure the station is free from sunlight, out of reach of sprinklers and close to a power outlet. 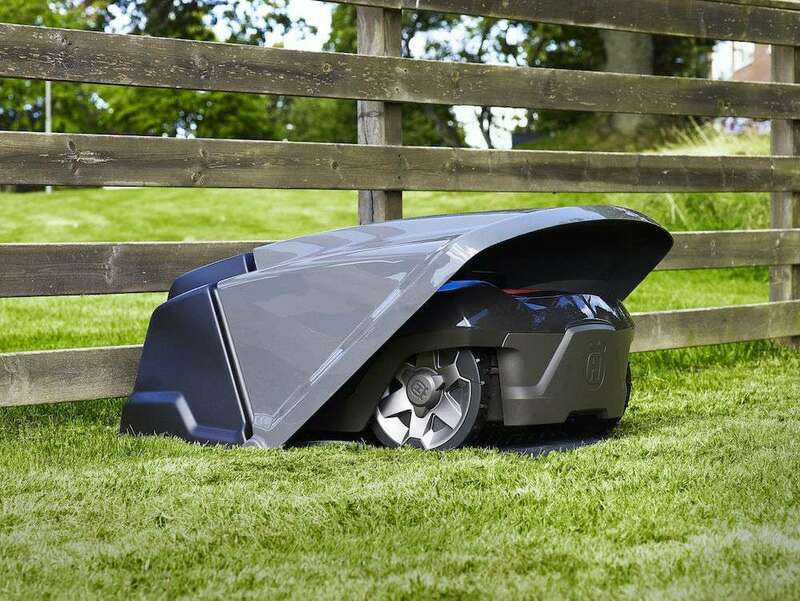 Once the charging station is in place, it’s time to charge your robotic mower. 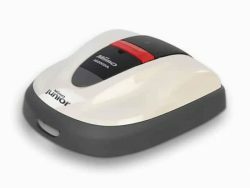 Put the robotic mower in the charging station and move on to the next step. Charging an empty battery takes 80-100 minutes. The boundary wire is put along the edges of the lawn to define the cutting area. 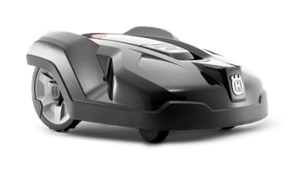 Simply attach it to the ground with the special nails enclosed in the package and the robotic mower will know exactly where to turn. Put “islands” of wire around flowerbeds and bushes to keep the mower from running into them. 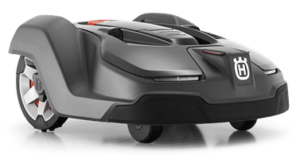 The purpose of the guide wire is to lead the Husqvarna Automower® back to the charging station when needed. 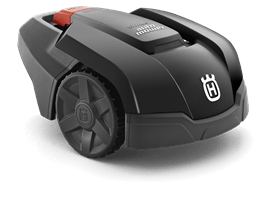 Connect one end to the station and place the wire straight across the farthest part of your garden so that the robotic mower can easily find it. The other end is attached to the boundary wire where they intersect. Both the boundary and the guide wire are then connected to the charging station. 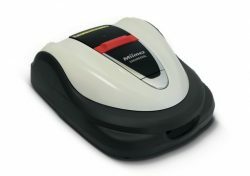 Turn on your Husqvarna Automower®, select your four-digit pin code, adjust the cutting height and set the work hours. And that’s it! The robotic mower will charge until ready before it heads out – at which point you have officially mowed the lawn for the last time. Perimeter cables can be installed above ground, but look at lot better hidden and buried under the ground, so if you would like ‘invisible’ cables in your garden we would recommend installing it ourselves. Installation can take anywhere between a 2-5 hours and for larger gardens it can take up to a day. For more complex lawns we would also advise we look after the installation for you. One of the team will guide you through the menus and explains fully how to operate the machine, for example if you wish to instruct the mower to stop mowing between the hours of 12pm-5pm on Saturday because you are having a BBQ in the garden. Or, you wish for automower to spend more of its time in area 1 than in area 2 or 3. 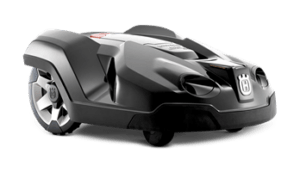 There are a variety of customisable settings which can very easily be made clear so you really get the most out of your robot mower. 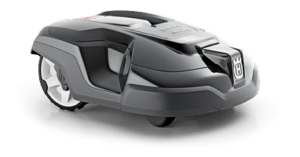 Platts Horticulture is an authorised Husqvarna dealer in Kent and provide robotic mower installation in Kent, Surrey, Sussex and London. 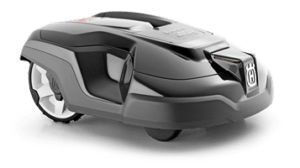 Looking for an Authorised Dealer to install your robotic mower for you? 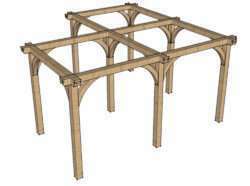 The basic Model. 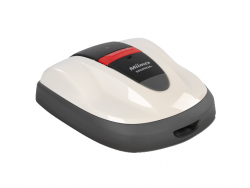 Ideal for home owners with small, flat and simple lawns and gardens.